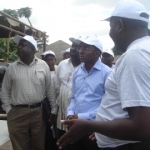 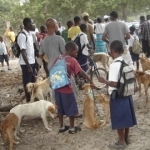 Tanzania Animal Welfare Society (TAWESO) conducted a one month of programme activities from 15th of September to 15th of October, 2012. 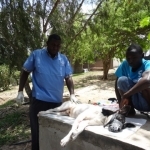 Due to resource limitations, this made us to arrange the projects so as they fall within this period which also has the worldwide recognized animal welfare events; the World Rabies Day (WRD) marked in every 28th of September and World Animal Day (WAD) which is marked on every 4th of October. 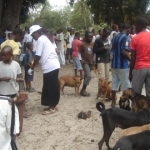 • Marking the World Animal Day events. 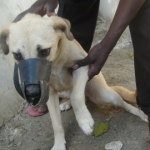 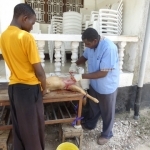 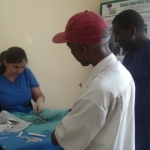 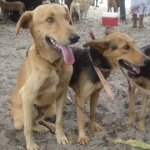 This project involved sterilizations of cats and dogs in various localities in Dar es Salaam and the Coast Region, most of cats were trapped and brought at charity clinic where were sterilized while the dogs and some were sterilized in the streets and restaurants. 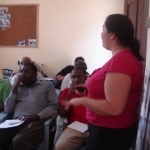 We were joined for one week by Feline Advisory Bureau from London, UK which was represented by Ian MacFarlaine and Nathalie Dowgray. 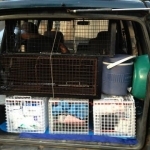 They brought various traps and crush cages for handling cats plus other veterinary supplies. 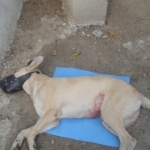 A total of 67 dogs and 42 cats were sterilized. 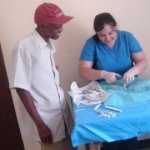 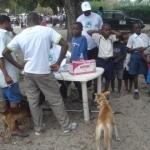 This included providing veterinary care to animals in need and mass vaccinations against rabies disease to dogs and cats. 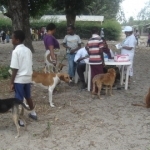 A total of 123 dogs and cats were treated with various disease conditions and 570 dogs and cats were vaccinated against rabies disease and de-wormed. 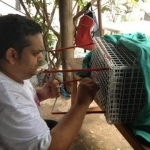 This was done by Feline Advisory Bureau representatives Ian and Nathalie; they conducted cat welfare training in respect to handling, trapping, feeding and sterilizations. 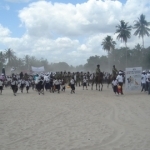 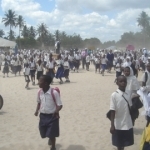 The event was marked here in Dar es Salaam city at Kitunda location in Ilala Municipality, other charities also participated plus school children under coordination of the Animal Welfare desk at the Ministry of Livestock and Fisheries Development. 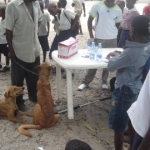 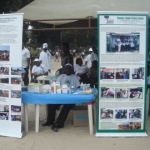 Tanzania Animal Welfare Society (TAWESO) has an exhibition stand to show what we do and also we had an on-site Veterinary Outreach Clinic where animals were getting veterinary care –vaccination against rabies disease, de-worming, health check, treatment of specific disease conditions. 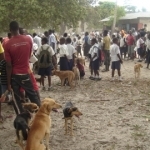 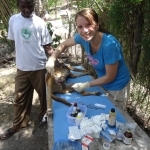 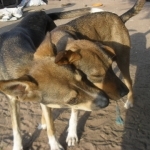 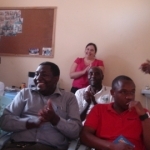 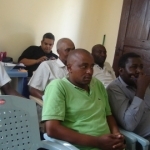 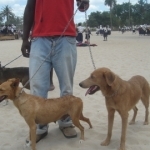 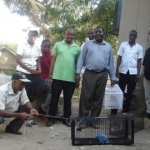 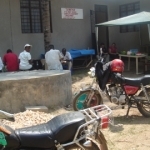 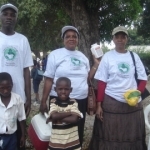 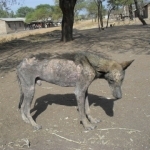 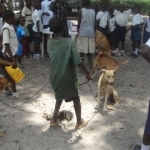 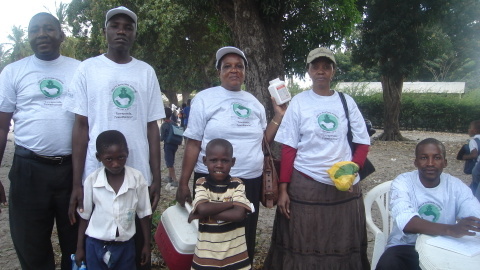 Tanzania Animal Welfare Society (TAWESO) Team.